If all goes according to plan, workers will soon start to dig an elevator shaft into the garage floor of a Los Angeles County home on behalf of Elon Musk. 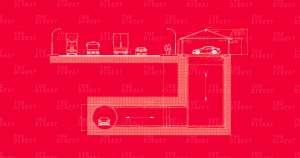 When completed, the hole will carry automobiles under a nearby street and into a tunnel that connects to the Boring Company headquarters. The local city council this week approved the project, which will be carried out by Elon Musk’s Boring Company. The only wrinkle: nobody seems to know exactly why. That’s a promise that raises more questions than answers, though: does the company plan to dig tunnels to the homes of all its future customers? What would the elevators need to cost to finance all that digging, from the main tunnel to the person’s home? And once the cars are in customers’ garages, how are they supposed to get back out again? One thing the garage will definitely not do: allow Boring Company employees to pull in off the street and cruise to work underground. As part of the approval, the company agreed not to allow cars to enter from the road. Though that seems like something the system would have to do eventually if the Boring Company wanted to make it really usable for customers. Since Musk first tweeted about the Boring Company in 2016, the company’s focus has zigged and zagged all over the place. Potential plans that have included supporting the Hyperloop, transporting individual cars, serving as a new form of public transportation and even digging tunnels on Mars (yes, really). Will these garage elevators end up being a major part of the Boring Company’s future operations (and how that would work logistically? Anybody’s guess. For now, the company seems content to throw ideas against the wall and see what sticks. Given the way Musk uses his Twitter feed, that makes a lot of sense.